"The destroyer of the Scots fed the wolves: he trod on the eagle's evening meal. The battle­cranes flew over the rows of the slain; the beaks of the birds of prey were not free from blood; the wolf tore wounds and waves of blood surged against the ravens' beaks." 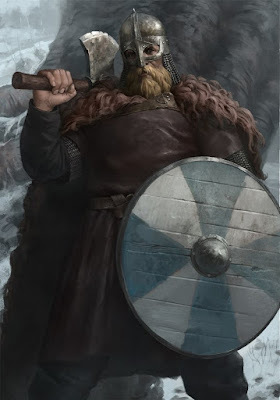 Egil Skallagrimsson wrote these words to praise Eric Bloodaxe, who only had 3 years rule until he had to leave Norway for the comeback of Haakon the good, who promised to give up the rights of taxation claimed by his father over inherited real property. Rollo died in 931 or 932.